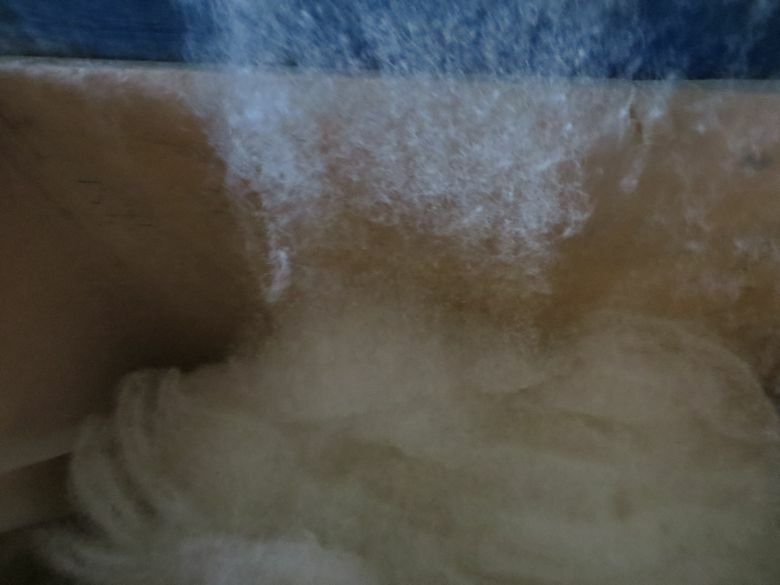 This evening we have a gem of a post from Jane Cooper, who will be known to many of you through her amazing work on the Woolsack project and also for the work she does on the Blacker and Beyond and Fleece & Fibre Sourcebook group on Ravelry which celebrates a diverse range of different sheep breeds and their wool. 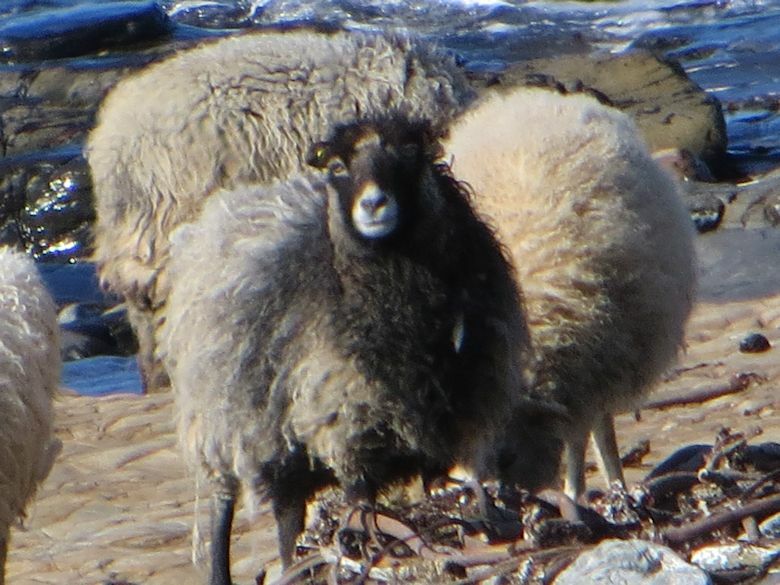 This evening Jane writes of the wondrous North Ronaldsay sheep particular to Orkney, where Jane now lives with her growing flock of Boreray sheep. 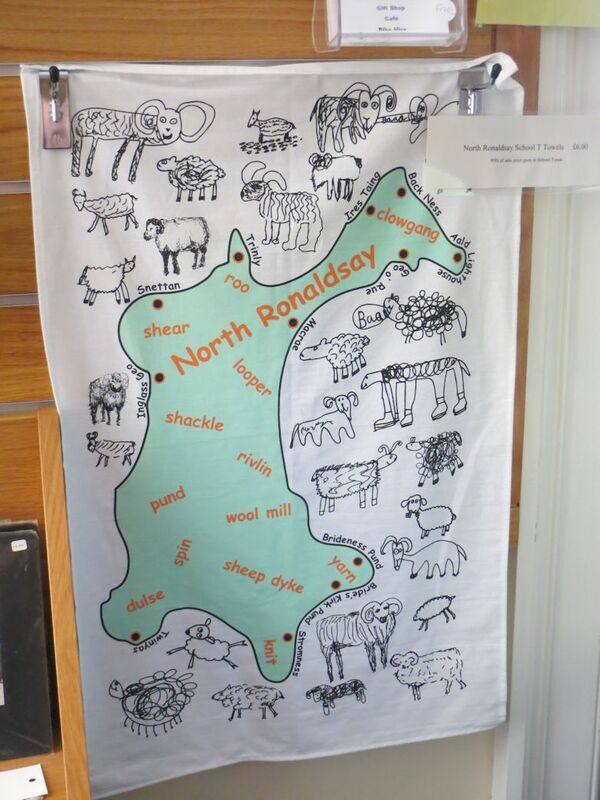 The northernmost island in Orkney is a very special place for sheep and wool enthusiasts. 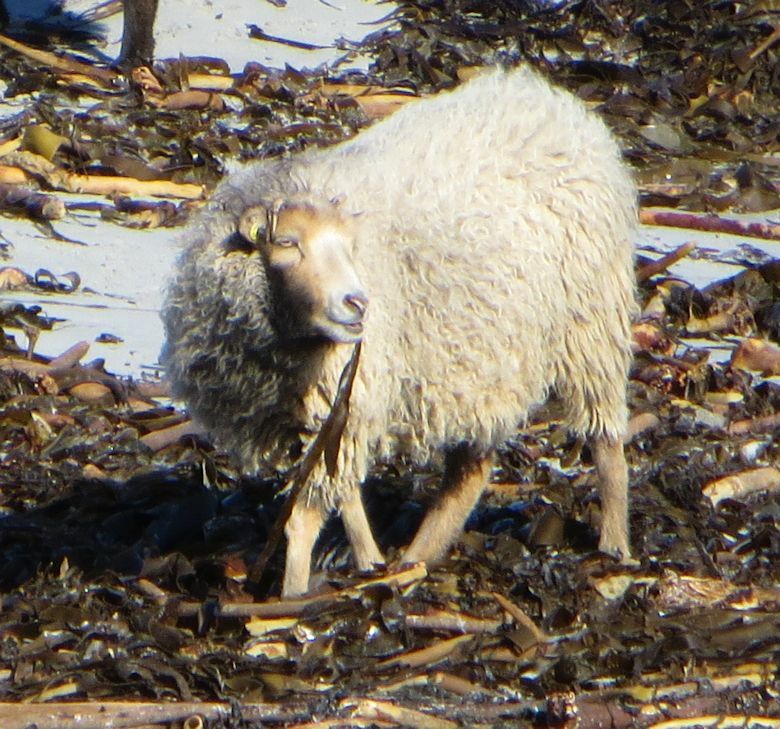 The seaweed-eating sheep of North Ronaldsay are unique in their lifestyle and the way they are farmed. I have spent many happy days on this island, but on my last visit there a few weeks ago I spent the day with Jane Donnelly who runs the North Ronaldsay Mill. First a very brief explanation about North Ronaldsay sheep for those new to this breed. It is a member of the North Atlantic Short-tailed family so is a hardy, dual coated sheep, small in size, and some of the ewes have horns. Virtually all the males have magnificent curling horns. Their fleece comes in a wonderful array of colours including black, white, grey and shades of brown and ginger. Like Shetland sheep, some have distinct facial markings. It is an ancient breed that has survived in some part due to the stone dyke (drystone wall) that runs for 13 miles around the island and separates the shore from the fields. In the 1830’s, when the large population on the island needed the good fields for cattle, the dyke was built and the sheep excluded from the fields. A diet of grass supplemented with seaweed became a mainly seaweed diet and the sheep adapted to survive. 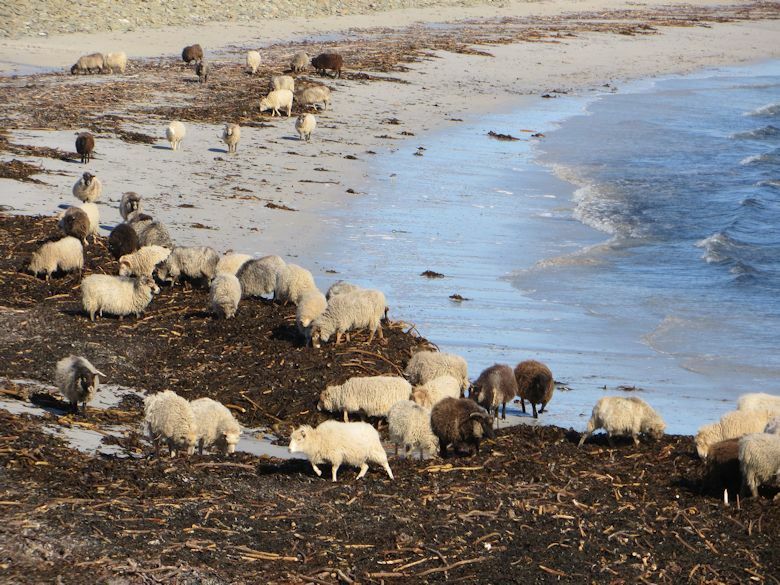 The low levels of copper in the seaweed meant their metabolism became efficient at extracting the copper, to the degree that North Ronaldsay sheep outside the island need special care to prevent copper poisoning. The island ewes spend the summer in fields with their lambs to maximise their milk supply but any longer off the beach would cause copper problems for them. When other native sheep breeds were improved by crossing with larger breeds, the North Ronaldsays remained pure since only they could survive and thrive in these conditions. 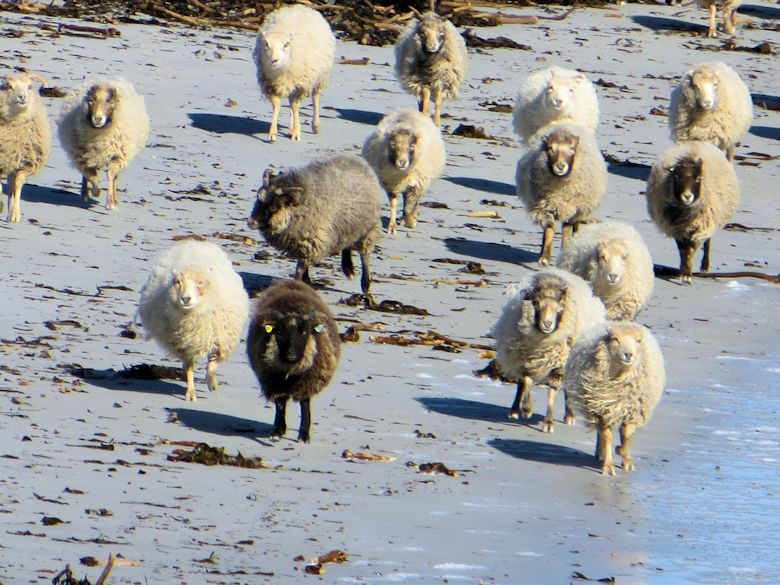 The sheep live in groups called clowgangs, each with their own area of shoreline. Their periods of eating and ruminating are governed by the tides. They are highly intelligent and can find shelter from the frequent storms. The sheep are farmed collectively, governed by the Sheep Court. Being semi-feral, they have to be rounded up or ‘punded’ for shearing and other welfare tasks including selecting and removing sheep for slaughter. The sheep take 3 years or more to reach mature size but the resulting mutton is well worth the wait and highly prized. 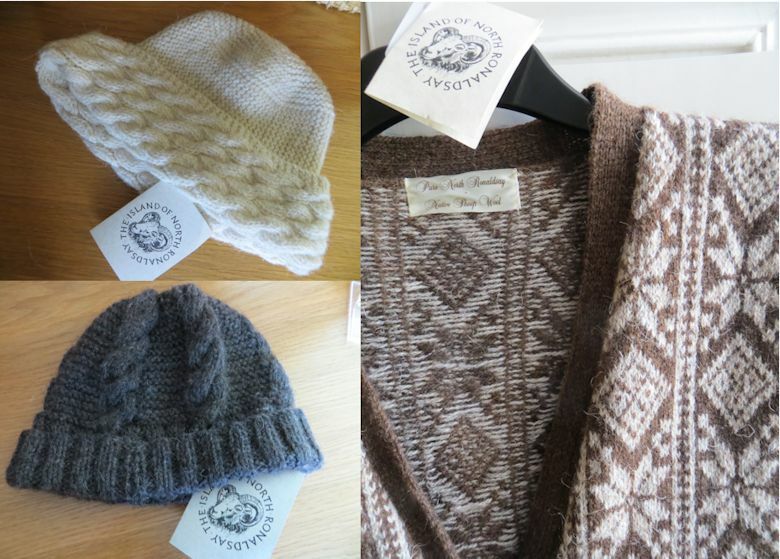 The wonderful news for spinners, knitters and everyone else who would like to use North Ronaldsay wool is that the North Ronaldsay Trust started a mini-mill on the island in 2003 to buy and process the wool from the sheep. 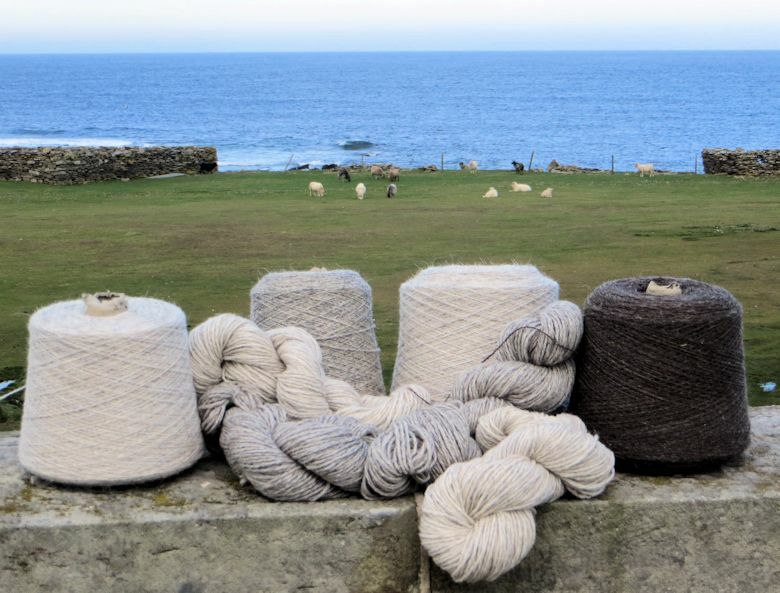 This ensured the best possible price for farmers and enables people throughout the world to enjoy using this unique wool, which is grown on the storm lashed shores of North Ronaldsay, and which can be purchased directly from the mill. 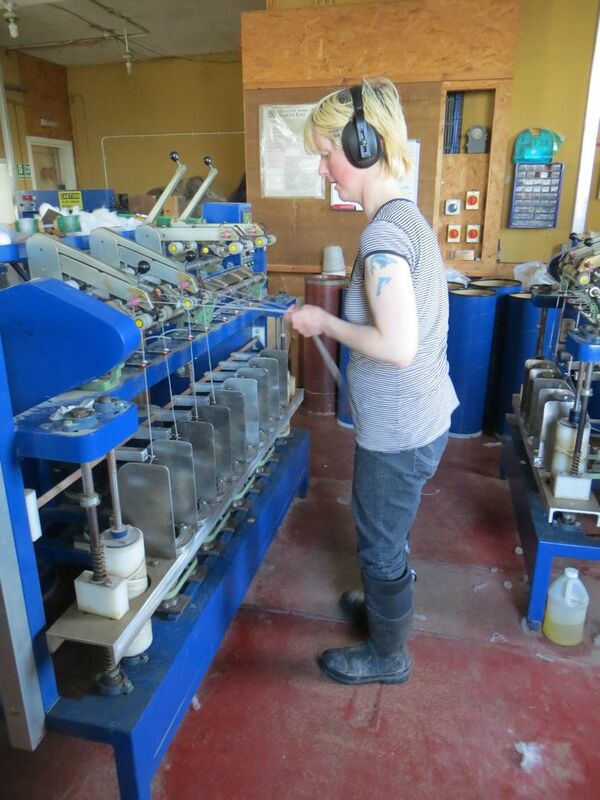 The mill has been operating in North Ronaldsay, run by Jane Donnelly, for just over 10 years now. 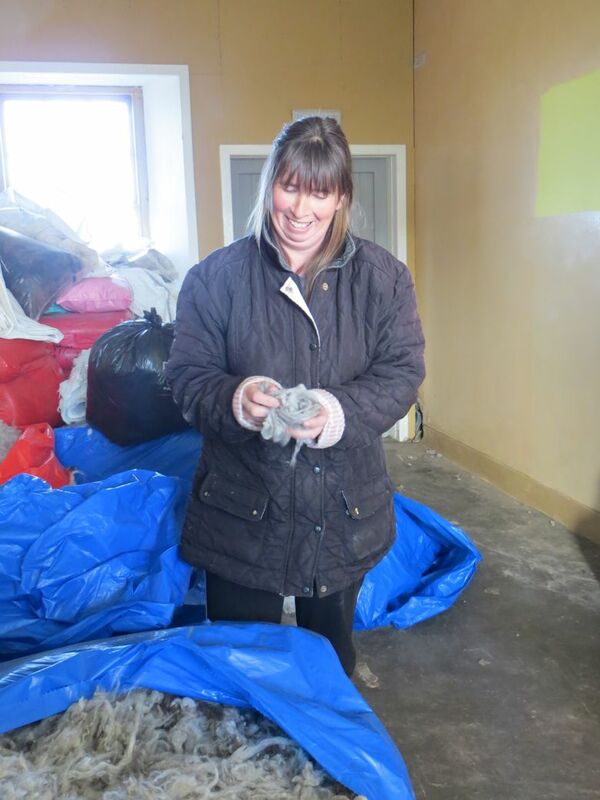 In that time Jane has had to learn how to use the machinery to create the best possible fibre and yarn from the North Ronaldsay fleeces and deal with operating in buildings that were once part of the Lighthouse, so not ideal for their present use. 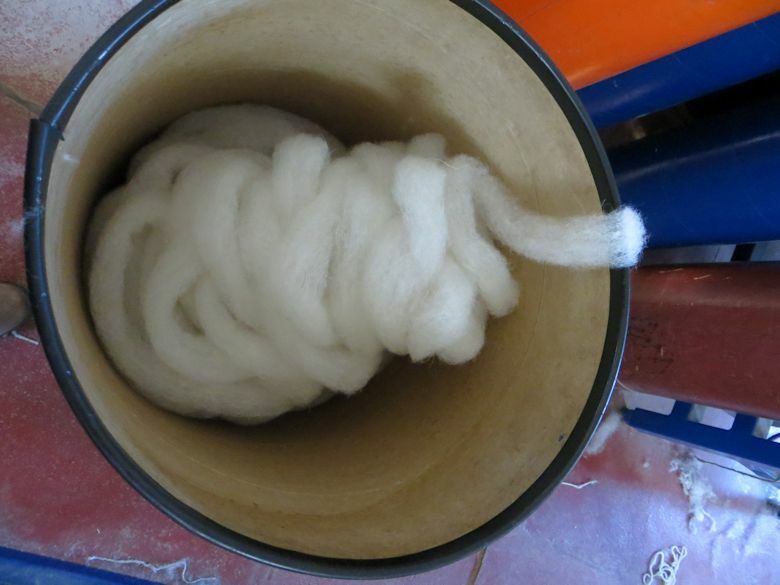 However with perseverance she has overcome the problems and is now highly skilled at producing and spinning beautiful yarns in a variety of weights and utilising the natural colours of the fleeces. 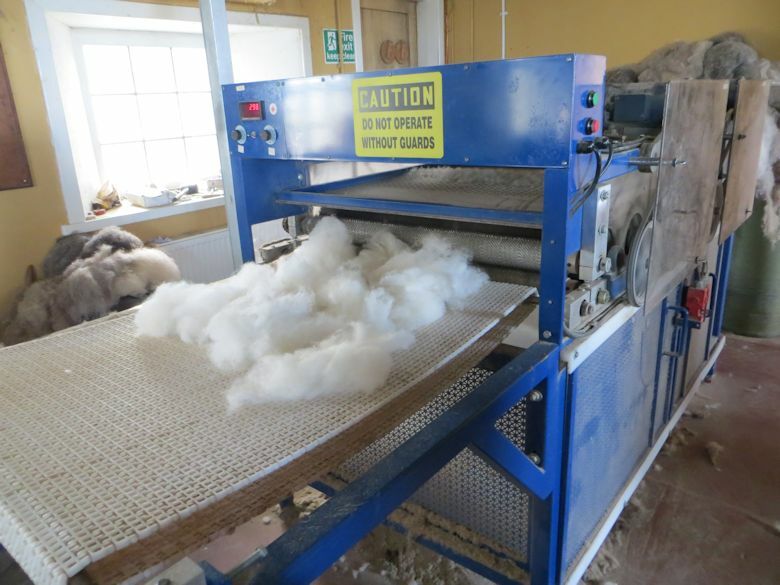 One special machine is the dehairer – this allows the coarser fibres to be removed so the yarn is soft enough to be worn next to the skin, while still retaining some of the weather resistant qualities of the fleece that protect the sheep on the shore during winter storms. The hat I wear most when tending to my own sheep during Orkney storms is my North Ronaldsay wool hat. Like many small islands the population today is a fraction of what it used to be, and there are more older farmers than younger on North Ronaldsay now. This brings special challenges. Most of the islanders have more than one job just to keep the island and its vital airport running. Jane does currently have a very competent assistant at the mill but the potential work is still more than the mill can handle. 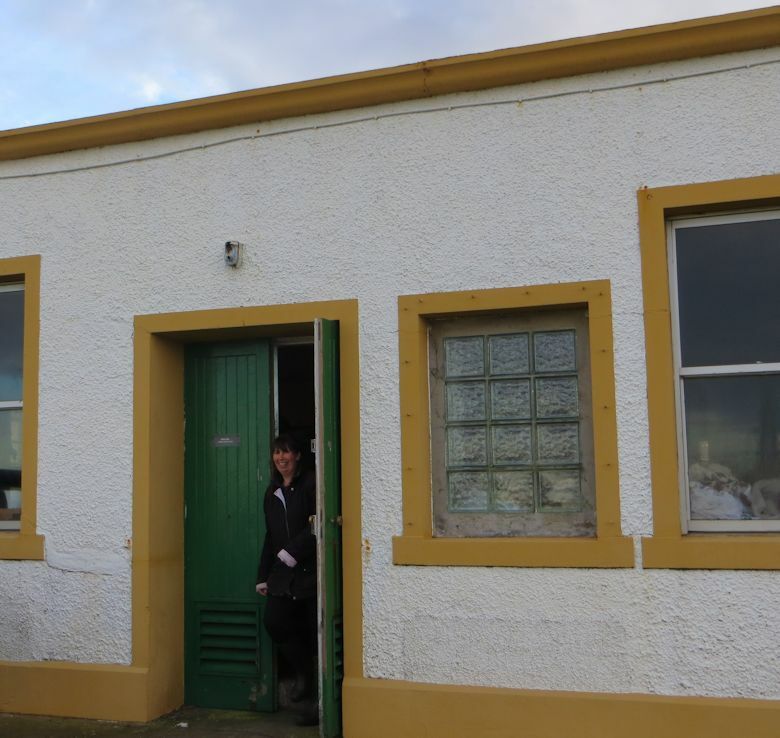 One can dream of the mill being enlarged into a purpose-build building, incorporating an exhibition about the sheep of North Ronaldsay, and providing extra employment on the island, enabling more people to live there. 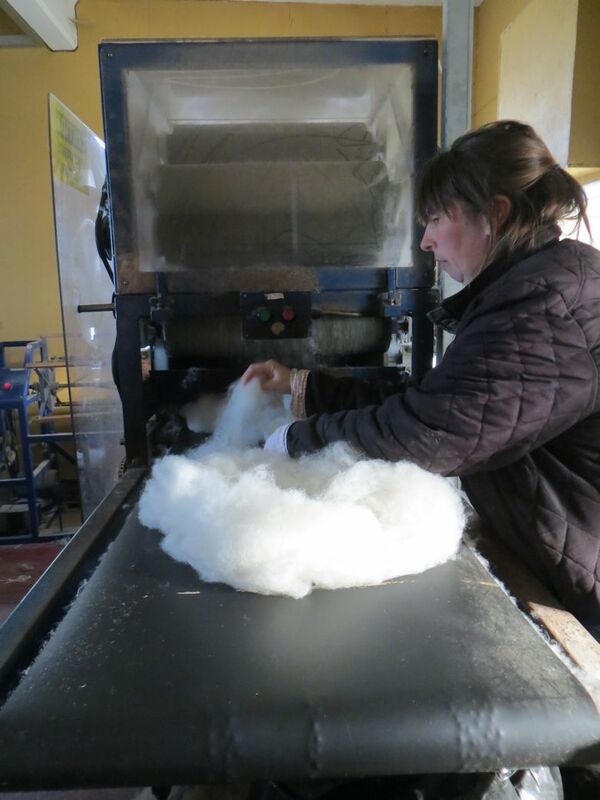 In the meantime, Jane and the islanders work together to preserve this special breed of sheep on the island where it first developed and to spin such beautiful yarn from the natural coloured fleeces. 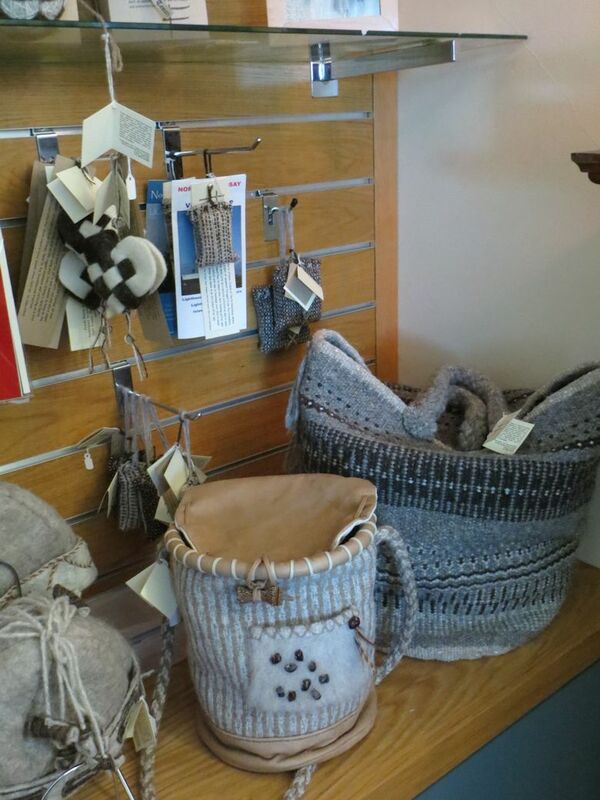 A number of skilled artisans produce beautiful goods using the fleece and yarn, which can be purchased from the Lighthouse Shop and other outlets. Through their wool products the islanders give us all the opportunity to experience a little bit of the magic of this unique island, no matter where in the world we live. 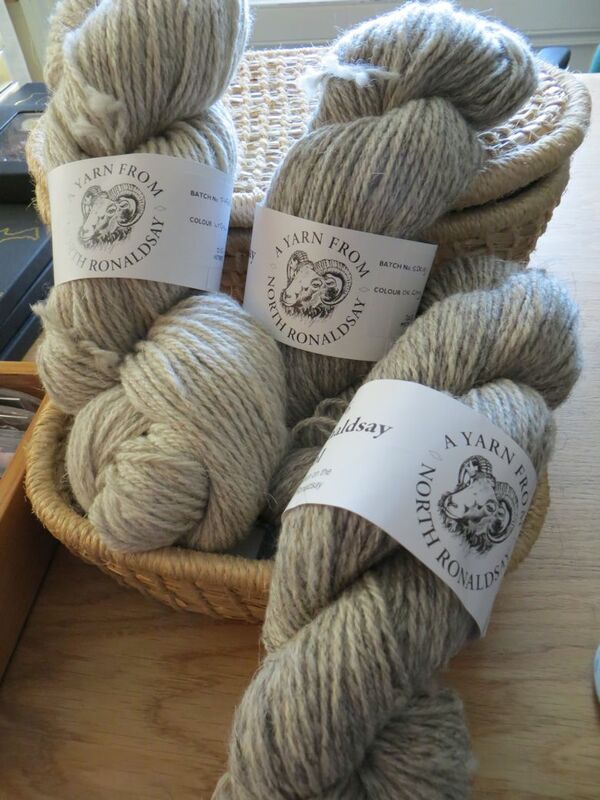 I’m sure it’s not just my imagination that each hank of North Ronaldsay yarn I knit brings me the essence of the North Ronaldsay shore and its unique native sheep. We love the links between the sheep and the land, so beautifully celebrated in this piece. All content © Jane Cooper and used with kind permission; stay tuned for more info on this wondrous sheep breed tomorrow afternoon and evening.